Good business leadership and management are inextricably bound with delegating. At some point, every manager will become overextended and unable to perform tasks. They need to be able to delegate. As managers progress in authority, they will also be responsible for more complex tasks, so the daily tasks need to be delegated. Delegation is important to leadership. But delegation is not always easy. Approximately 30% think they delegate well, according to Forbes. That means 70% aren’t sure of their delegation skills. 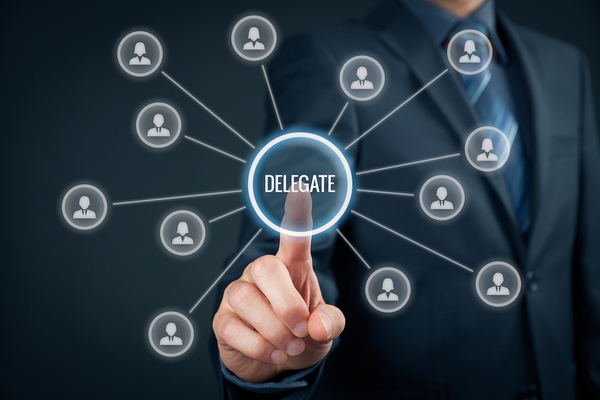 Are you delegating effectively? The Harvard Business Review suggests a thought experiment. If you suddenly and unexpectedly had to be away for a week, would your priority projects and plans progress? If not, you may need to delegate in a stronger way. While not easy, there are certain best practices for delegation that the HBR recommends. People have been shown to engage more – and more effectively – if they understand the reasons behind a request. Your reports will have more buy-in if they know the reasons behind a priority or a project and can handle it more effectively. People will be inspired more if they know their specific place in any plan. They need to know expectation and what skills and capabilities they were chosen for and expected to show. Leaders need to strike the right balance when they delegate. You can’t be involved too closely in the day to day work, or else you may be tempted to micromanage (or be viewed by your reports as doing so). But you also can’t be entirely removed and viewed as uncaring or cold, or occupied with other things. If your reports view you as the latter, they may not pass on information that could be valuable or used to troubleshoot problems before they become crises. Forbes points out that the right people need to be chosen by delegators as well. They need to have the right capabilities and skills, of course. But it is also important that business leaders hire someone they trust. Without values and beliefs being in alignment, which is strongly indicated by trust, delegation will be an uneasy process. Don’t let trust become an excuse to be totally noninvolved, however. All delegation systems need a follow-up process. Sit down with your reports at regular intervals. Finally, show your trust, and successful delegation, by acknowledging the success of your reports, not just to them, but publicly. That builds trust in you in return. While many managers don’t find delegation easy, it’s important if you’re to grow as a leader. These best practices will help you on the path.